I am originally from Tempe, Arizona. I received a B.S. from Colorado State University, an M.S. from California State University, Sacramento, and a Ph.D. from the University of Arizona. 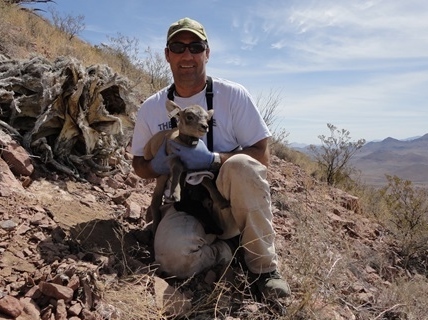 My research interests are primarily in wildlife-habitat relationships, population ecology, and the influence of management practices on native wildlife species. I address both basic and applied questions related to wildlife ecology, conservation and management. In general, my research interests focus on understanding the effects of environmental heterogeneity on habitat selection, resource use, movements and the landscape-level distribution of mammals and birds. Specifically I am interested in studies on how spatial and temporal variation in habitat characteristics, resources and constraints on resource use (e.g., predation risk) influence the movement, habitat selection and distribution of wildlife. Furthermore, I am interested in determining how habitat selection, at the local and landscape scales, is related to demographic rates and population dynamics, including the relationships between habitat quality and metapopulation dynamics. Another area of research involves the influence of natural resource management activities on wildlife and I work with government agencies to assess the implications of current and future land use and management practices on conservation of wildlife populations and communities. I have been fortunate to have had the opportunity to teach a range of courses and gain teaching experiences with diverse groups of students at both U.S. and international universities. My experiences include teaching courses at both the undergraduate and graduate level and include courses in Wildlife Management, Field Methods for Wildlife and Conservation, Quantitative Biology, Wildlife -habitat Relationships, and Population and Community Ecology. My teaching interests include courses in large mammal ecology and conservation, wildlife-habitat relationships, field methods, and wildlife conservation and management.